These hands-on, talented team members are truly experts in their fields. They strategically steer the direction of the franchise while working closely with both bakery owners and the 30-member Dillon crew. Whether in bakeries, at industry gatherings, or researching ways to better our business, they're the real thing: great leaders and great people too. If you've had a chance to check out some of the other pages on this site, you're probably thinking the same thing I was back in 2001 when I joined Great Harvest. What a cool company. What great franchise system. What cool people. What a philosophy. Wow! Such corporate responsibility and stewardship are rare today. We are able to work in an environment of respect, love and laughter. As long as we do that, the rest pretty much falls into place. I am very proud of how we live the last line of our Mission Statement while simultaneously funding our generosity with a sustainable, successful business model. That combination is all too rare. How did I get here? I spent quite a few years as a franchisee of a different system to learn how to operate a small business firsthand. I also spent some time consulting for that same franchise company, later acting as their Chief Financial Officer. 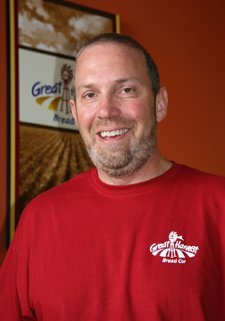 This combination of franchisee and franchisor experience has allowed me to bring a unique —and hopefully fair— perspective to Great Harvest. Before coming to Great Harvest, I spent 30 years working at and running McCann Erickson, one of the largest advertising agencies in the world. At McCann, I spent years launching the AT&T brand (back when it was known as the Bell System), taking Gateway to #1 in consumer PCs, rolling out Lowe’s and Kohl’s nationally, and working on Coca-Cola, Wendy’s, Burger King, Applebee’s and TGI Fridays among many other brands. I have worked as the CMO for HP Personal Systems (Computers and Printing), competing against Apple, and splitting off . . . then not splitting off. And I worked at a startup. So what am I doing here? Well, I have seen many brands and many marketing opportunities in my time. I have been a part of many huge successes, as well as real opportunities squandered for bad reasons out of my control. One thing I do know is that when you do things right, when you are honest and authentic, and you are actually better at what you do than anyone else, then you have every opportunity for success. That is what I see in Great Harvest. A genuine brand that makes: "Bread. The way it ought to be." (That's why I wrote that line!) The way it was done back in biblical times. It’s not some mythical brand with “bread” slapped in its name just to create the impression that it does things the right way. We do it the right way at every step from start to finish, all the way down to taste testing the wheat we hand select from our farmers in the Golden Triangle in Montana. America loves its bread, and we make the best bread. It’s handmade locally in every town we are in, from fresh stone-milled flour, ground right there in the bakery. Do you think I know how to tell that story? Do you think America loves that story? Do you believe that there are opportunities for real American families to own a Great Harvest, earn a comfortable living, and watch their kids grow up? I do. And that is why I decided to “take my skills“ and put them to work for me (for once) and for all the families that own a Great Harvest. So I packed my bags and moved to Beverley — hills, that is — except they are the ones in Montana. 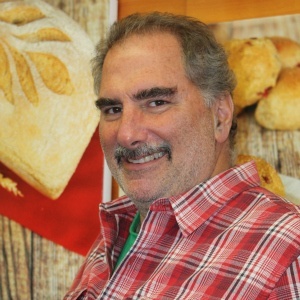 I have joined Mike Ferretti — a person I have known as a friend since we went to University of Virginia together in the 80’s — as a principal owner of Great Harvest Franchising. 30 years in advertising making everyone else successful. Two years as CMO of HP Personal Systems (post-spin #1 and pre-spin #2). One year at a startup. B.S. degree in Marketing from the University of Virginia. Four years convincing Mike Ferretti to do things he didn’t want to do. Wife, three kids (all going to U.Va. ), two dogs. 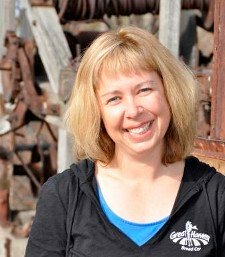 I joined Great Harvest in 1991 and I’m still here because it’s the best job on the planet! I get to help people realize their dream of opening their own small business. I grew up in a family where both parents had their own business. I learned that owning your own business is the most rewarding job ever, but that it takes a load of hard work and focus to be successful. It’s great to know that what we do here through the training process and ongoing support makes the road easier for our new franchisees. I still attend most of the openings as the customer service trainer. I love being in bakeries and seeing the excitement on someone’s face the first time they taste hot bread off the breadboard. Production (give me the idea and I can make it happen). Project Management. Training. Supply Chain. Wheat Testing. New Product Development. Meeting Planning. Foodie. B.S. degree in Food Systems Management from Montana State University. Minor in Business Management. Family: My husband and kids are a gift I appreciate and enjoy every day. Cooking: I love it! It's the way I relax. Gardening: My newest project is composting. I harvested my first batch just in time for spring planting. Walking: It's my favorite form of exercise (rumor has it I can walk faster than some runners!) Reading: I'll read any cooking magazine I can get my hands on. I have a Kindle too, which is great for travel, but my first choice is a real book in my hands. I always enjoy watching the progress of each brand new store owner from bright-eyed trainee to a great franchise owner with their own beautiful bakery. Especially seeing them on opening day – confident, successful, and smiling as they greet those first streams of bread loving fans. All of my work experience has been with Great Harvest, starting in June of 1991. In my 25 plus years, I’ve held numerous positions including candidate selection, opening trainer, field representative, company store manager, supervisor of field representatives and Director of the Bakery Support Department. I joke that I’ve held about every position in the company other than legal and accounting work. I’m currently the Director of Corporate Baking & Live Training. A natural people person. Excellent team builder and team player. I love to teach and coach, and believe you must do both side-by-side to have a happy staff. Strong at prioritizing and juggling many balls, I get things done and stay balanced at the same time. B.S. degree in Biology from Concordia College. Minor in Psychology. I love to spend time with family and friends. I like to camp, raft the local rivers, bike, fish, hike and do a bit of traveling as time allows. I really love the people and the bread. It's also allowed me to experience our great country, from coast to coast and make great friends along the way. I have a wonderful family! I married my high school sweetheart, Kathy, in 1991 and have never looked back. We have two adult children, Andy and Kelsey, who are attending college here in Montana. We also have a Golden Retriever, Captain, that loves to hang with us. We get one shot at this game called life, so work hard to shed the stress and enjoy every day. Get out, be active, live your dreams, and enjoy the people around you. I joined Great Harvest in 1991, fresh out of college. At the beginning, I worked on legal & administrative projects, squeezed into a small office with my favorite colleague and the mailing table. I moved to the operations side of the company and have worked through new business creation, opening trainings, and established franchisee support. A few years ago, I had a chance to manage the franchise sales and development process, as well as our blog and content creation efforts. Presently I am maintaining our website and an internal Learning Management System, plus developing systems and processes for a variety of projects. B.A. degree in Economics from Amherst College. Master of Business Administration degree from the University of Montana. I hang out with my husband, Jim, and our active two kids. Well, make that one kid, since the oldest just left for college! I was finishing college in Massachusetts and frantically job hunting all over the West. My husband (boyfriend at the time) saw an ad in his local paper for a job in Dillon, Montana. My first reaction was, "That's very sweet of you to try to help with my hunt, but there can't be a 'real' job in Dillon, Montana." On a whim, I called the 800 number and was greeted by the nicest person on the other end of the line. She sent me a packet of information and I was shocked to learn what a cool company this is — and that the job sounded very challenging and interesting. Long story short, I got the job and still love Great Harvest. 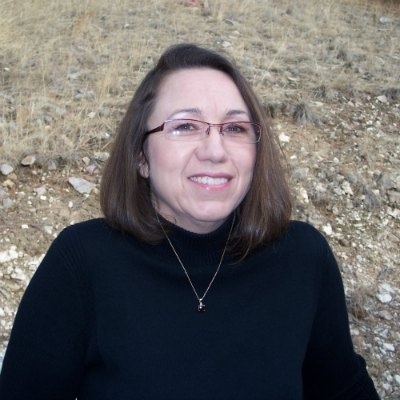 I began my professional career with a small, local CPA firm, Doran and Associates, in Poulsbo, WA, and continued as an Associate with that firm as it was acquired by myCFO, Inc. I became a Certified Public Accountant in 2000. Before working at Great Harvest, I was the Controller of privately held FarmSaver.com in Seattle, WA. I managed the accounting function during its acquisition by Israeli-held Makhteshim Agan Industries. In 2007, I became the Controller of a closely held manufacturer of ozone cleaning and sanitizing equipment. 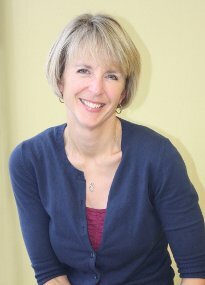 Most recently I returned to public accounting, working for Nelson Accounting Professional, PLLC in Kingston, WA. Certified Public Accountant, Understanding of Generally Accepted Accounting Principals and IRS Code, Financial Statement Preparation, Tax Preparation, Payroll Processing, Human Resources Management, Accounting Software Implementation, People Person. I enjoy hiking, cooking, baking, and creative writing and spending time with my two grown sons, Sean and Kevin, when I can, plus husband Geoff, and our dog, Allie. Working in a positive environment with truly wonderful people and for a company whose Mission Statement reflects my own philosophy about giving. It is gratifying to have co-workers that support one another AND work tenaciously for the success of the franchise owners. It really is about our customers (the local bakery franchise owners) and not about us. 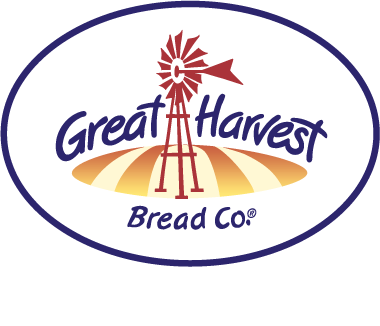 I have been with Great Harvest for 18 years working closely with bakery and bakery cafe owners as a field rep, a post tracker and now as Director of Bakery Cafe Performance. My professional background is varied from the ad agency business to newspaper publishing, a combination that gives me an appreciation for balancing the service and creative side of the business with achieving financial goals. Northeast Louisiana University with a degree in communications and a minor in Journalism. I love that our bakery cafe owners want to make the most phenomenal products on earth while being generous to their communities and employees. In order to continue doing that, the business has to be financially healthy -- which is why I like to emphasize that ‘Profit” is not a dirty word! 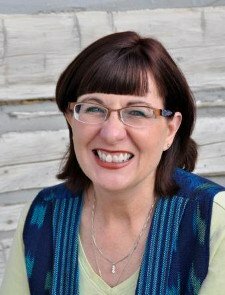 I enjoy shopping for antiques, traveling to visit friends and family, and spending time with my husband, Michael. I began my professional career in marketing for Aaron’s Inc. working with franchisees on their targeted marketing programs. It did not take me long to realize I loved working with franchisees! I spent the next eight years in franchise development and helped our team award over 800 franchises in that time. 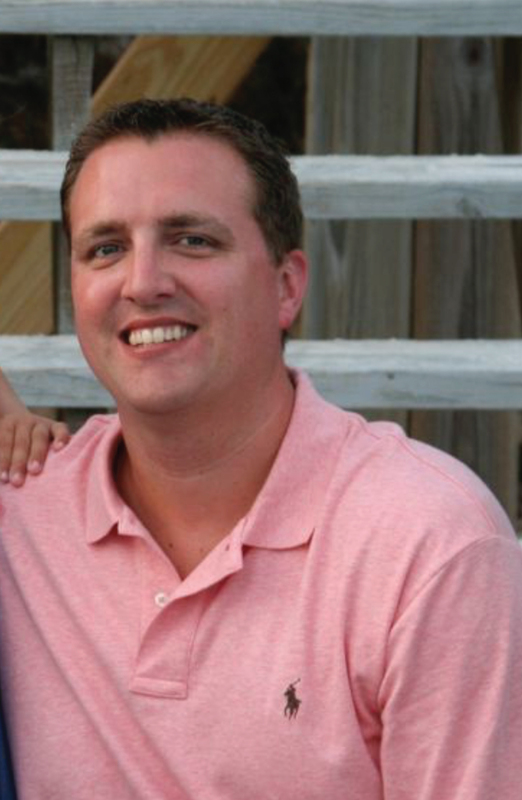 In 2013, I took over the franchise development for Buddy’s Home Furnishings and helped grow that system from just over 100 stores to over 300 in five years. Then in August of 2018 I decided to join the Great Harvest team. My favorite thing to do is spend time with my wife and two children. We enjoy the outdoors, living in Tampa, FL allows us to spend a lot of time on the water paddle boarding, fishing and going to the beach. I also love to travel and explore new places and do new things. Our Team Has Helped Hundreds of Small Business Owners Build Successful Bakery Franchises.